Recent Game Informer cover game Dishonored is a first-person stealth game set in a mysterious, malleable world that is bent by player choice. That's about all I know. Our own Joel Johnson is currently in Texas today and has played the game there, at QuakeCon 2011. He knows more and will tell us what the deal is with the game. Until then, I ask you readers, what's the deal with this image? 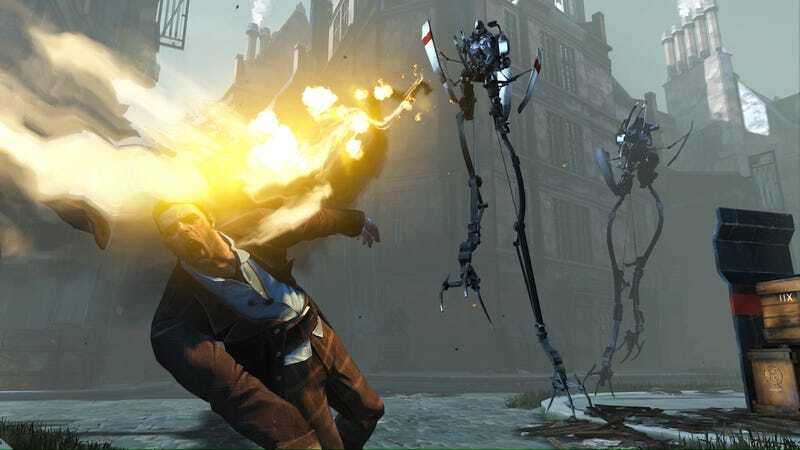 It was the most striking of a batch of Dishonored shots offered by the game's publisher Bethesda today. I want your best theories as to why what's happening is happening.